Getting a pay rise in the border city of Lloydminster could be a matter of crossing the road after the gap between the minimum wage in Saskatchewan and Alberta jumped to almost $4 on Monday. Getting a pay rise in the border city of Lloydminster could be a matter of crossing the road. The gap between the minimum wage in Saskatchewan and Alberta widened to almost $4 on Monday. Minimum wage-earners in Saskatchewan will see their hourly rates rise by 10 cents from Oct. 1, when the provincial rate increases from $10.96 to $11.06. Lloydminster reacts: Alta. 's carbon tax arrives in a city that's half in Sask. On the same day in Alberta, the minimum wage increased by $1.40, increasing the lowest allowable wage from $13.60 to $15. The city of Lloydminster straddles the Alberta and Saskatchewan borders, meaning some workers on the Saskatchewan side could increase their pay by almost $4 by finding work on the other side of Highway 17.
Business owners and managers on the eastern side of the border are bracing for possible impacts by increasing wages, raising prices and reducing their full-time workforce. Linda Lindquist owns Top Source For Sports, about three blocks from Highway 17 on the Saskatchewan side. She said her staff would be getting a higher minimum wage to match the new Alberta rate. "It is a very unique city and we have to follow the Alberta minimum wage," said Lindquist. "Whatever's higher is what we've had to pay. It's more because the industries are oilfield-related so they can get a better job elsewhere, like a better paying job." Lindquist said businesses on the Saskatchewan side have to "play by a different set of rules." Raising prices on all stock to offset the wage increase is not an option for Lindquist because some sporting brands only allow their products to be sold at a set price. She said she has been forced to reduce her full-time workforce and employ more part-time and casual workers on an as-needed basis. "As far as the employees go, what sounds like a great wage increase, like 'Wow, we're going to make more money', all of a sudden, their hours get cut down because the employer can't afford to have them on all the time," said Lindquist. The wage increase on the Saskatchewan side is not enough to have any effect on her business, she added. The province has said its minimum wage increases are based on an indexation formula that gives equal consideration to changes to the consumer price index and the average hourly wage. 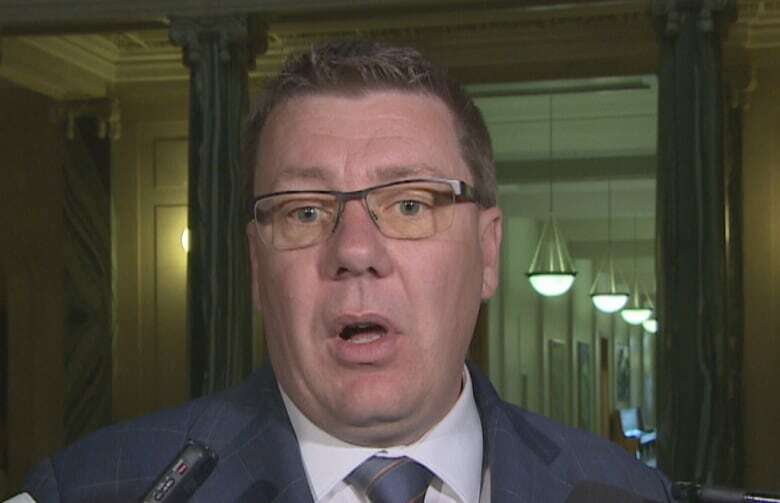 "Saskatchewan also has a low personal income tax rate and low-income tax credit, helping low-income earners keep more money in their pockets," said Labour Relations Minister Don Morgan in a news release. In May this year, Premier Scott Moe defended the province's minimum wage, which was the lowest in the country at the time. The Oct. 1 change makes the provincial minimum wage the second-lowest in the country, higher only than the $11 wage in Nova Scotia. "This is the formula we've had for a number of years now. It's still working for the people of the province and we'll continue with it," the premier said at the time. Opposition NDP leader Ryan Meili expressed concern about the possibility that someone could work full-time and still live in poverty. The lower minimum wage could also lead some workers to leave Saskatchewan and find work in other provinces, he added. At the Sawmill Prime Rib and Steakhouse in Lloydminster, Sask., general manager Tori Atkinson says costs are already rising in her industry, leading to new menus that include a six per cent price increase . Atkinson has no immediate plans to raise wages to match those in Alberta, adding that workers already make more than the minimum wage through tips. Instead, she hopes providing a good working environment will discourage her employees from seeking work on the Alberta side. "If my whole team tries to bail and go across the border, then I'll have to rethink things," she said. "It always falls back on the consumer, same as the carbon tax … it's not really creating any more wealth, it's creating problems all around." The Saskatchewan government said Monday's minimum-wage increase is the tenth increase since 2007, when the minimum wage was $7.95. It said there are approximately 49,500 minimum wage and low-wage earners in the province, including 57 per cent who work part-time.